State of Lake Michigan is part of the Ecovision World Monograph Series, which is devoted to exploring the state, ecology, and integrity of the lakes. It is the formal outcome of an international symposium on Lake Michigan, organized by the Aquatic Ecosystem Health and Management Society, and chaired by T. Edsall and M. Munawar. State of Lake Michigan reviews the status of the major Lake Michigan ecosystem components and provides a basis for evaluating the health of the lake and for promoting integrated management of this exceptional natural resource. 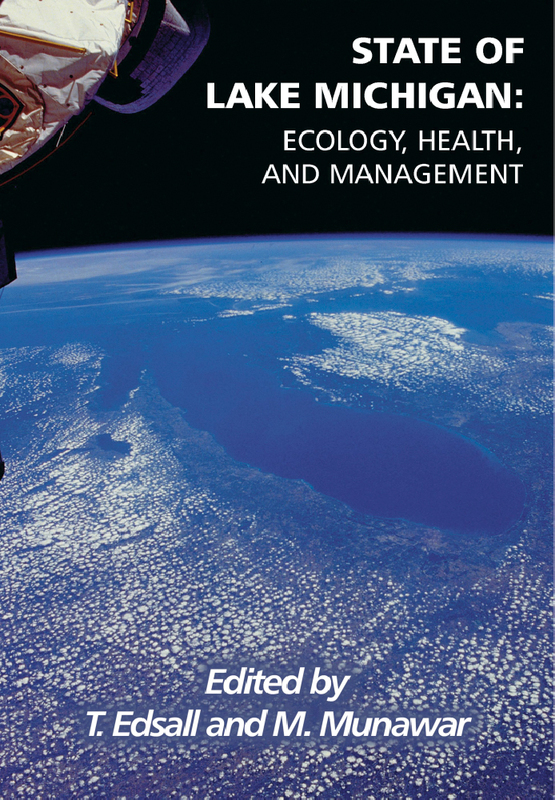 The book consists of papers by professionals in the Great Lakes region who are recognized for their contributions to the advancement of Great Lakes science and management. The book also includes an extensive subject index. Other sections explore physical and chemical regimes, food web, water birds, wetlands, and management and initiatives. T. Edsall is an emeritus research biologist with the U.S. Geological Science Center, Biological Resources Division, Great Lakes Science Center in Ann Arbor, Michigan.